Fencing For Privacy, Safety or Curb Appeal? Mark Twain said “Good fences make good neighbors.” This is especially true when there's not a lot of space between houses, and fencing for privacy helps define your space. Fencing is an integral part of the American landscape with more than 72,000 miles of fencing sold in the United States each year (New York Times on Fences). Fences are part of our history, where cattle herds needed to be kept in their pastures and farmers used fences to stake a claim on their land and other resources. Do you have a fence somewhere in your yard? Maybe you're still trying to decide what type of fence you want or where to place it? Homeowners, unless there is a critical requirement like a pool or puppy that requires a fence, will think about adding a fence for a long time. 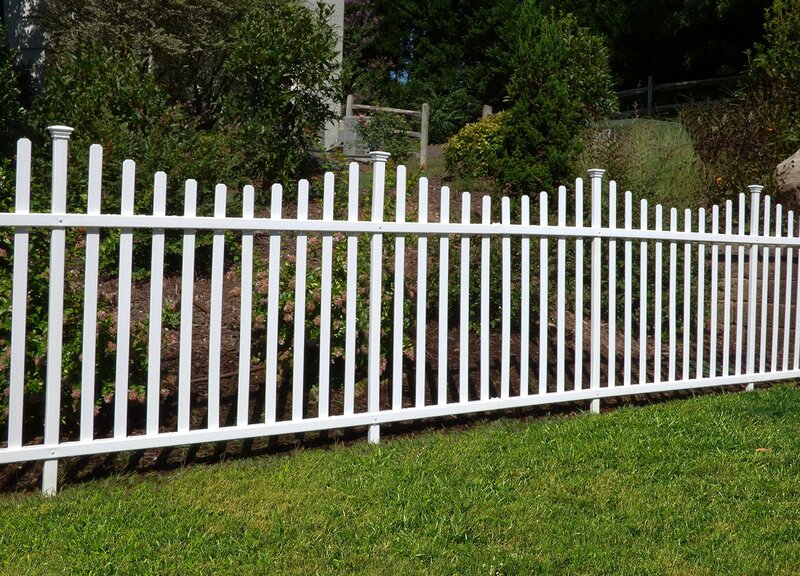 There are many reasons for adding a fence somewhere in your yard. It's not a simple decision as you've got to decide where the fence should sit, what type of fencing material to use, how high the fence should be and where the fence gates should be placed. Before you contact a fencing company, you should decide what your priorities are for a fence because this will narrow your choices. For example, if fencing for privacy you'll need a taller fence, made of a solid material that people can't see through. There are many different types of privacy fences and the function of the fence is where you want to start your planning. 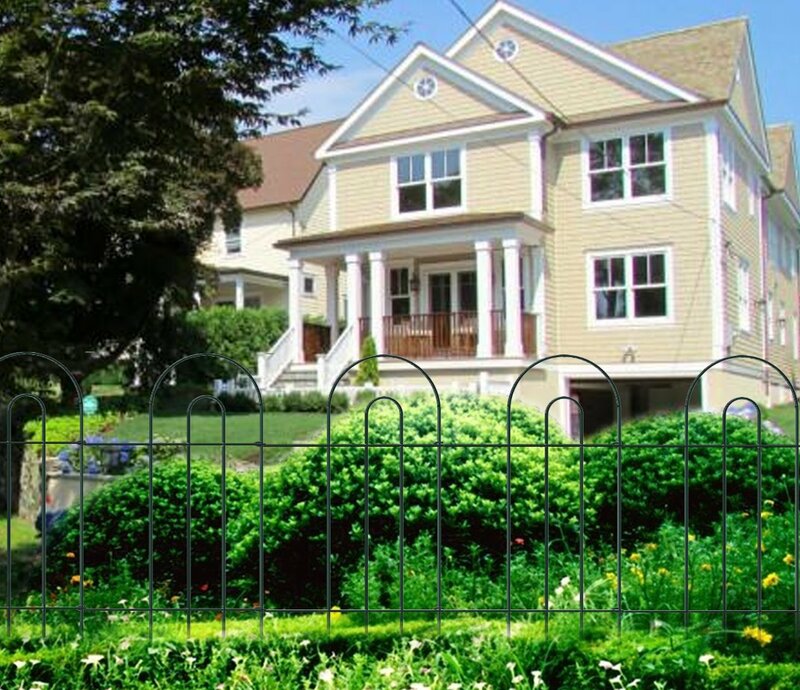 If there's not much space between your home and your neighbor's house, you might put up a fence to define your space. Sometimes a house on a busy road warrants a fence to block some of the noise and provide a better view. With bigger yards, some homeowners want to create multiple living spaces so privacy fencing can help you separate family space like your cooking and eating nook, from a quiet, reading haven with a beautiful view. 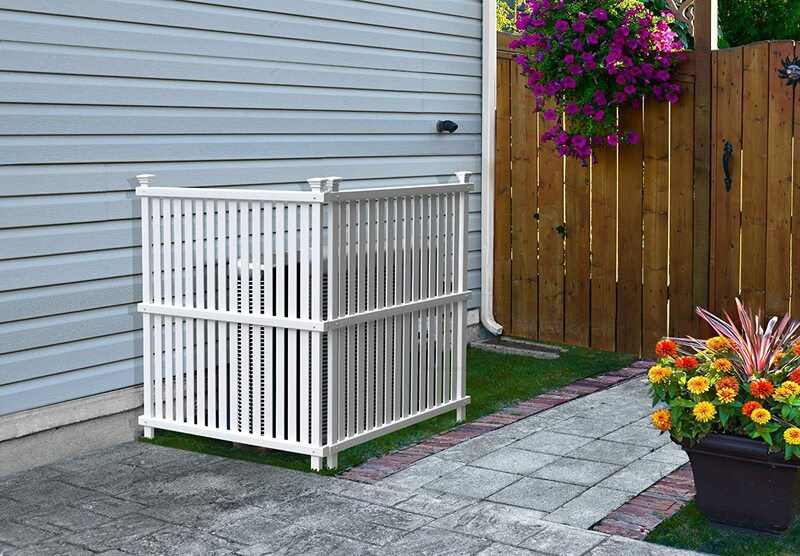 Privacy fencing might simply be functional when used to hide tools and equipment for yard work or storage like trash cans. Privacy fencing can be built from wood, vinyl or often when it's bordering the property line, it can be shrubs like evergreen trees, cypress and slightly shorter, needle point holly or little gem magnolias. Privacy fencing is anything that fully blocks the view. But not anything above the fence, like that basketball hoop in the top left of the photo. Learn more on choosing styles. One of the most common reasons to add a fence to your home is safety. If you have young children, and they're playing outdoors with limited adult supervision, you'll feel more comfortable when there's a fence to keep them in the backyard. 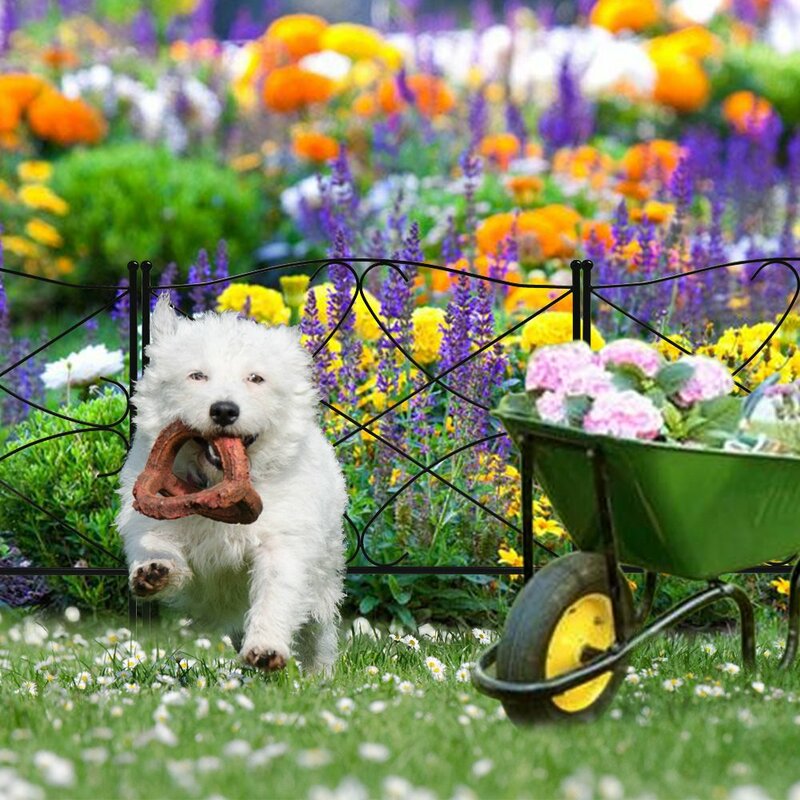 A fenced yard, or smaller dog run, reduces the time you have to spend letting pets outside and back into the house. Pools require fencing so people don't accidentally fall and drown. There are strict requirements on the height of pool fences and also on the locking mechanisms to prevent unsupervised children from getting inside the pool area. Check with your town's building department to make sure you understand local code requirements (sample Pool and Spa Fencing Requirements for San Ramon, CA). Fencing is also a popular feature when landscaping your yard. Many fences provide a complete enclosure which makes sense when you want this privacy. You can attach a fence to the house or garage, but there isn't always a need for this level of security. Dog window (below left) for your fencing which might also cut down on barking. 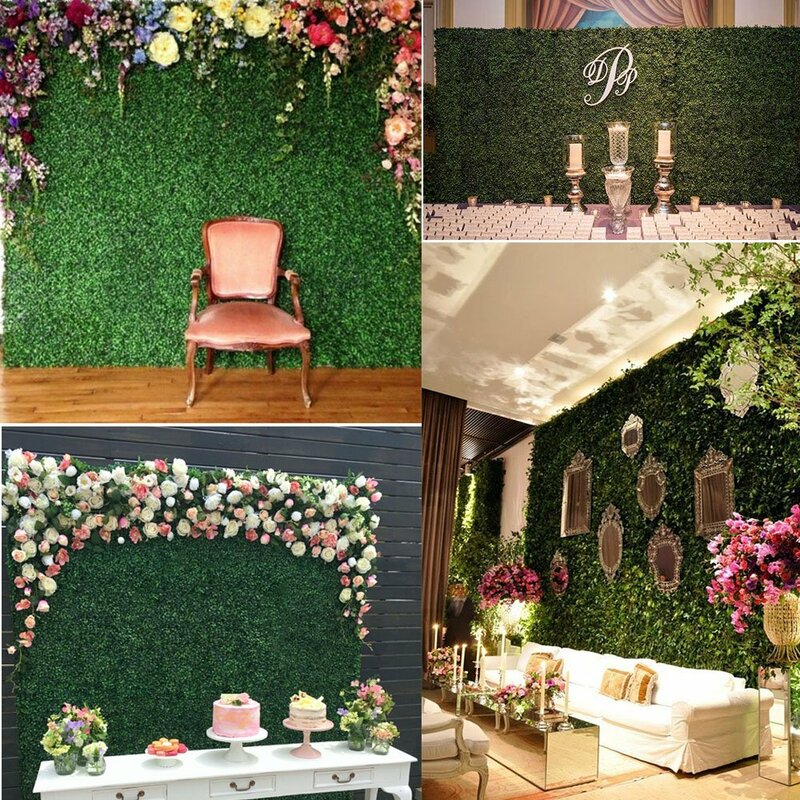 Green faux panels (below right) are also fascinating, especially if you don't have a green thumb. Landscaping Jobs: DIY or Hire a Professional? Thanks for the tips for getting a good fence. We want some more privacy in our yard, so we definitely need a better fence than the little picket fence we have. Getting a wood one sounds like a great idea. I appreciate all of your different reasons behind fences for a home. Since we’ve moved, I’ve been wanting to get a fence for my dog. He behaves well, but our new neighbors both have dogs that are easily excited, and a little bit rowdy. I think that if I got some fencing done, maybe install a couple of gates, our problems would be solved. Great article! enjoy a lot to read your post. Thanks.